I have books on animals in Laos and they're all written in English and definitely aimed at adult readers or a scholarly audience. 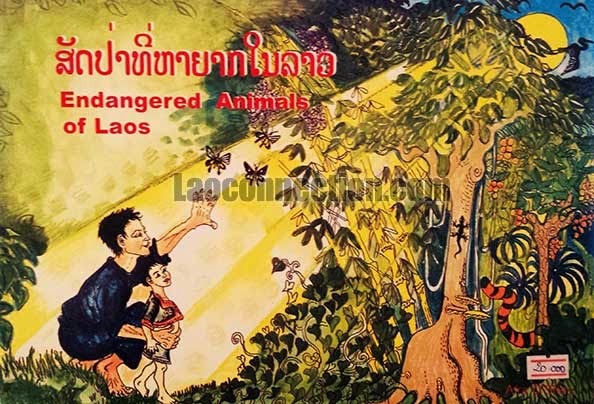 I often thought how useful it'd be to have a book aimed at a younger audience that would teach Lao kids about the animals in Laos and in particular something that would help educate them on the endangered animals so I was quite happy to find this. Even though I only found it on my recent December 2013 trip, this book was in fact first published in 2001! I wonder why I never came across it back in 2003 when I had visited then? 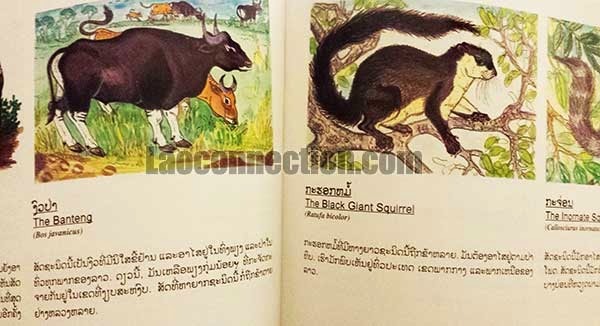 This book is colorfully and beautifully illustrated and written entirely in Lao however the animal names are also shown in English and in their scientific Latin name. 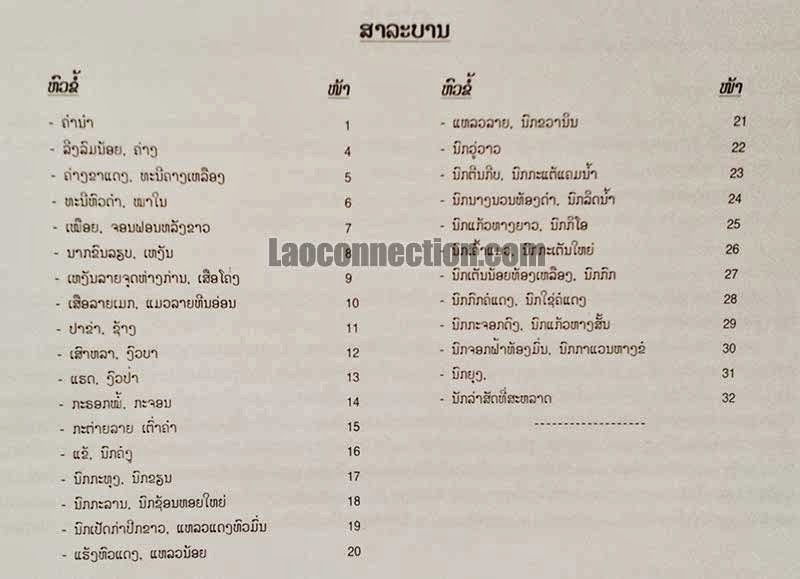 It was published by the Lao Ministry of Agriculture and Forestry with support from CIDSE (a Catholic charity and non-government organization). The list of animals mentioned is quite interesting as some of them I'd heard of before but some were new to me so I can honestly say I learned something new from reading this kid's book! This is easily an invaluable resource in the classroom.